A bench is a basic, yet important outdoor accessory that provides the ideal place to read a book, relax or spend time with a friend. When it comes to dressing up an outdoor area with a convenient bench, consider transforming readily available materials into a one-of-a-kind seating space. 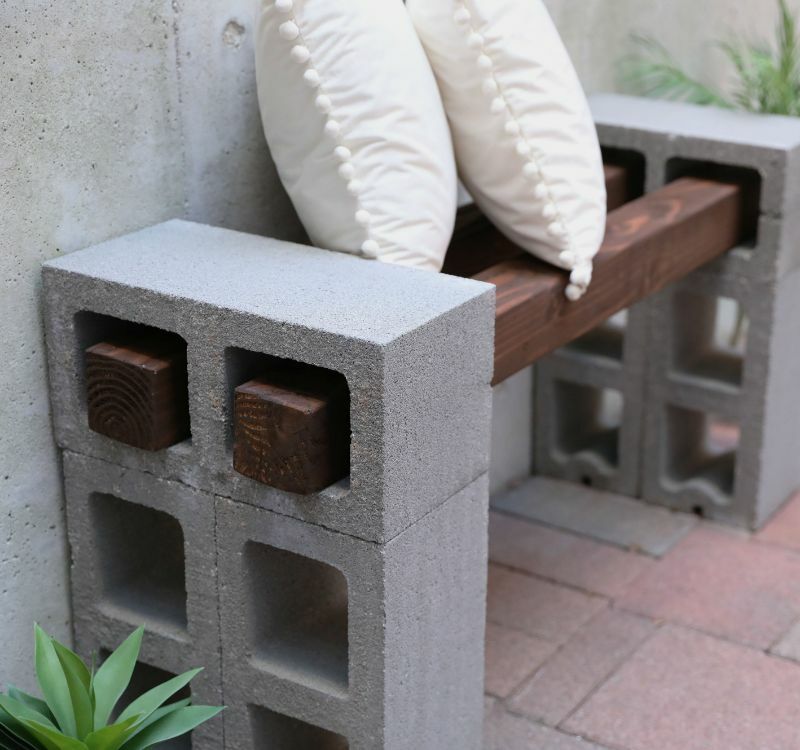 Cinder blocks are the perfect material to create a bench base. Finish off the look with wood-stained beams for a comfortable and fashionable addition to outdoor seating. Cinder blocks work well as a bench frame because of their size, durability and pre-cut holes suitable for adding seating beams. The earth-toned hues of cinder blocks allow the bench to seamlessly blend in with its surroundings. After you've constructed it, try adding a few pastel throw pillows on the end of the sitting beams for a welcoming look that contrasts nicely with the rustic appeal of the cinder blocks and stained wood. 1. Set a cinder block against a sturdy wall so it's standing vertically with the cutouts facing left and right, and the long, flat surface is facing forward. 2. 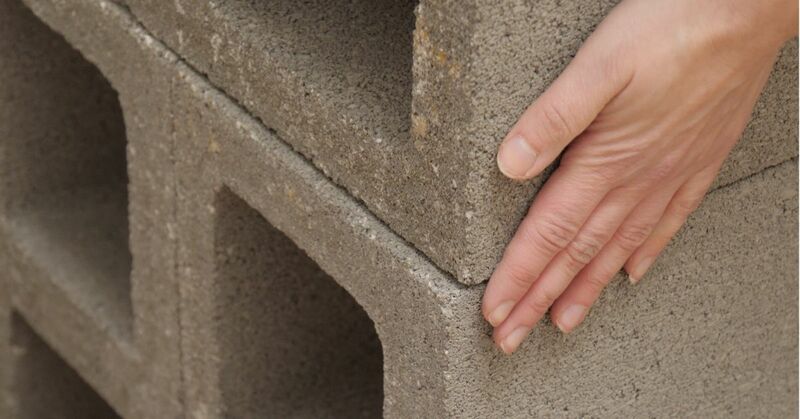 Place a second cinder block directly next to the first so the long, flat surfaces are touching. 3. Set a third cinder block four feet away from the first cinder block — the one against the flat wall — so the cutouts are facing out left and right. 4. Place a fourth cinder block against the third so the long, flat surfaces are pressed together. 5. Set a fifth cinder block horizontally along the top of the first two. Make sure the edges are lined up. 6. Place a sixth cinder block horizontally along the top of the second set of cinder blocks to create an identical base. 7. Lay two 4-foot long wood beams across the top of the cinder block stacks. Sand the surface with a hand-held sander using 80-grit sandpaper until smooth. 8. Swap the sandpaper out for 120-grit paper. Sand the surface of the two beams once more, focusing on rough edges. 9. Place a large plastic tarp underneath the two wood beams. 10. Paint the entire surface of both beams with Rust-oleum wood stain. Wear plastic gloves to keep the stain from coming in contact with your skin during application. 11. Wipe the beams down with a cloth towel to help the stain set and remove excess product from the surface. 12. Once the wood is dry, run one of the beams through the cinder block cutouts at the top and back of the two stacks. Run the second beam through the front, top cutouts to create a comfortable bench seat. 13. Add a few attractive throw pillows to the bench and place greenery on either side for a beautiful, natural look that’s made to enjoy! Share this outstanding outdoor design on Facebook.